Just in time for the holiday season the highly anticipated Jason Wu x ELOQUII Capsule Collection is now available. According to Market Watch , The Jason Wu x ELOQUII limited-edition eveningwear capsule of 11 pieces, including dresses, luxe outerwear, and separates boasts the perfect combination of ELOQUII’s innovative design approach and fit expertise with Wu’s distinctively feminine aesthetic and elevated styles. Last month we kicked off the latest Fashion Month with New York Fashion Week. Many crowded the sidewalk of New York anxiously waiting to check out the latest fashion from the fashion capital. In case you missed it check out some of the collections from the week. Be sure to let us which one was your favorite in the comments below. We are back with the latest installment of our Blogger Life Series. In Part Two of the series, we covered topics such as collaborations. 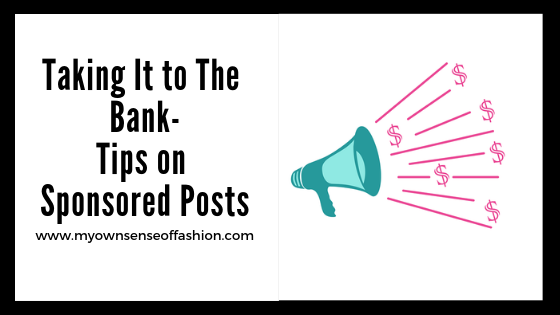 Our first topic this time around is all about sponsored posts. Follow along as I share some tips before your next opportunity. Let’s get started. Well, fashion fans we have arrived at yet another bridal season. We have already covered the upcoming Spring Bridal Season back in April. Now we are back with all the latest from the Fall 2019 Bridal season. As always, we made sure to include some of our favorite collections and added a few new ones. Check out some of the collections below. Back in April, we reported that music group *NSYNC released their 1st limited edition capsule collection. We are happy to report that a second capsule collection is now available. Die-hard fans if you missed the out the first time around now is your chance. Keep reading to find out what items are included. Earlier today Designer Tommy Hilfiger announced that enterainer Zendaya will the next global Tommy Hilfiger women’s ambassador and will appear in the brand’s global integrated campaign beginning in Spring 2019 as reported by Business Wire. The entertainer will also work with the designer to create the TommyX Zendaya capsule collection which will reflect her distinct and confident sense of style. It’s October and some of you are still deciding your Halloween costumes. We have covered plus size costumes, last-minute costume ideas, & even kids’costumes . This time around it is all about group costume ideas. If you haven’t selected your costume just yet then keep reading to find out more.